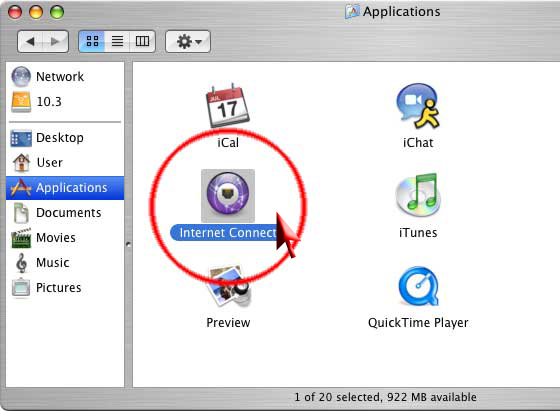 Go to Applications folder and look for "Internet Connect" and double click the icon. 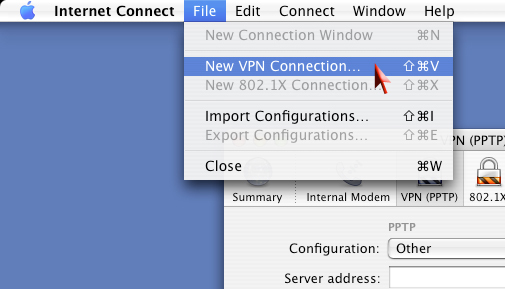 Next click on the "File" menu and select "New VPN Connection". Click "PPTP" then click the "Continue" button. 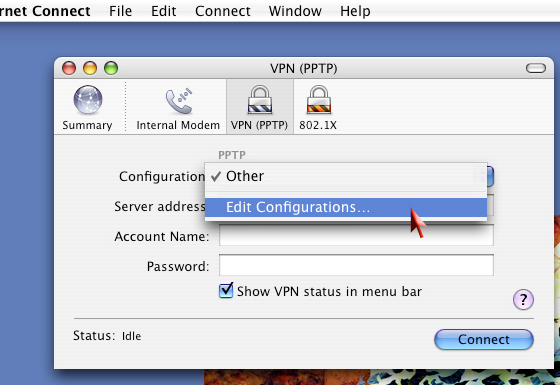 Click "Other" and select "Edit Configurations..."
Configure your VPN according to the screen shot below. 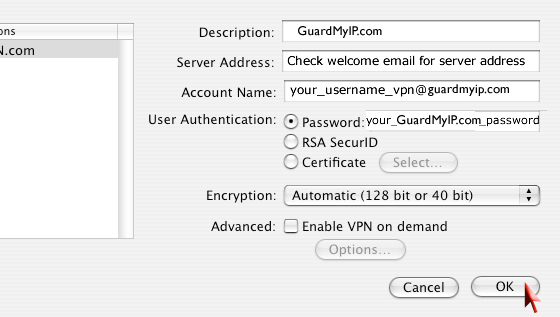 Enter your GuardMyIP account username. 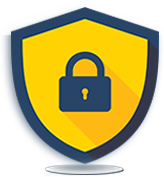 Then click on the "Authentication Settings" button. 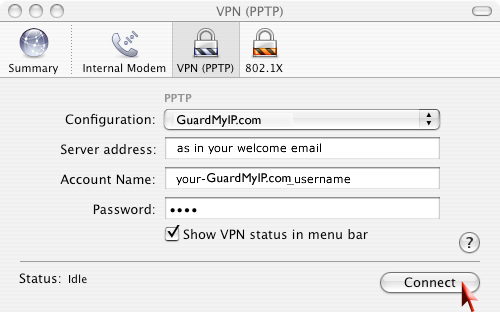 To reconnect to this VPN service right click on the VPN icon in the top system tray and choose "Connect VPN (PPTP)".